This brilliant exhibition of Dale Chihuly’s work is drawn from the George R. Stroemple Collection and includes the master glassmaker’s spectacular Laguna Murano Chandelier and 60 luminous examples from his acclaimed Venetian series, as well as more than a dozen drawings. 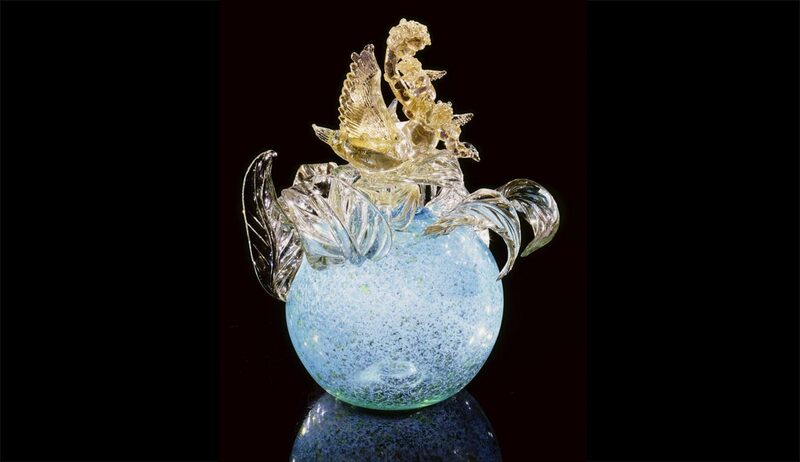 Chihuly’s Venetians were developed from the inspiration he acquired while making a trip to Venice in 1988. 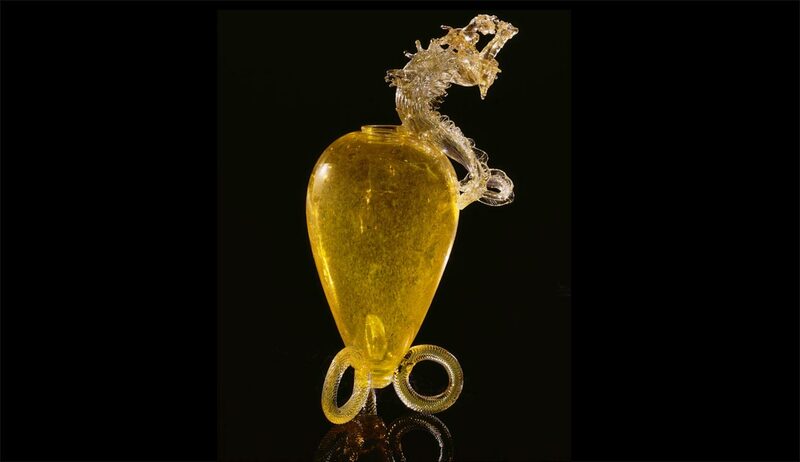 During this trip, he visited a gallery that housed an extraordinary private collection of Venetian glass that represented the pinnacle of Venetian Art Deco Style (1920s and 1930s). Returning to the United States, he decided to create his own versions of the classic pieces with his unique, lively twist. 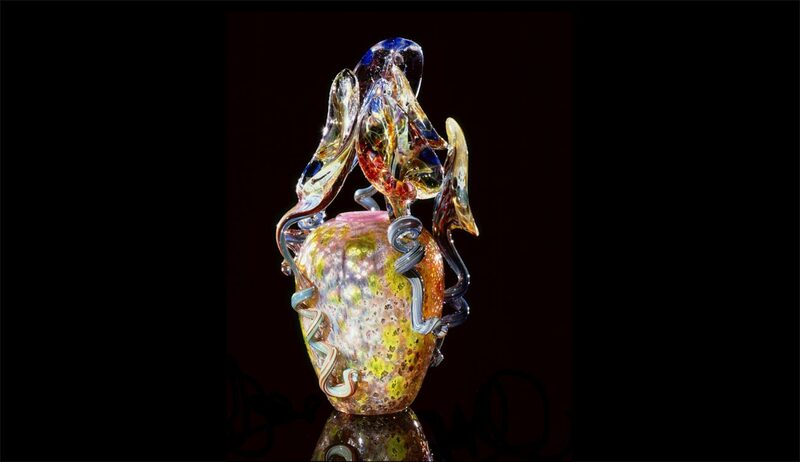 Collaborating with Pino Signoretto and Lino Tagliapietra, two of Italy’s finest glassmaking masters, Chihuly worked to execute his vision for these stunning pieces, which will be on display. Please note: Due to the delicacy of the Chihuly glass pieces, The Museum is asking and requiring visitors to leave all large oversized handbags and backpacks inside their vehicles when visiting Chihuly’s Venetians. In order to protect the valuable items part of this exhibition we appreciate your compliance in this request.